To prevent your loved hair from being destroyed or come into mess, a wig seems the best way to solve all your problems and remove your worries and more important, to provide you more choices. One of the most flattering medium length wigs with bangs is definitely the bob wig, which should just brush the shoulders. This length creates a nicely balanced silhouette, not too long that it drags down your face and not too short to allow you to show off some beautiful natural (or permed) waves. To be edgy ask for lots of layers and some shaggy, broken layers that will make it easy to get plenty of body and volume. Right now, the key to a high fashion finish is working with a perfect wig, whatever that may be. Women who are confident about their appearances are always seen as more attractive by men! 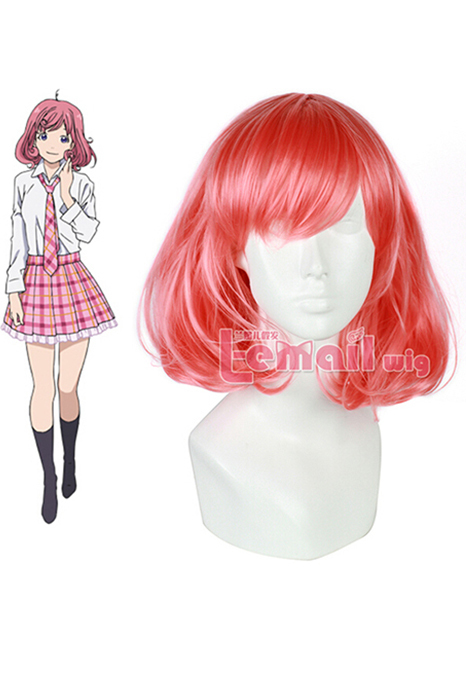 This entry was posted in Buy Cosplay Wigs, Wigs and tagged Bob wigs, colorful straight wigs, curly bob wigs, medium cosplay wigs.